* Free shipping available only in the contiguous United States. 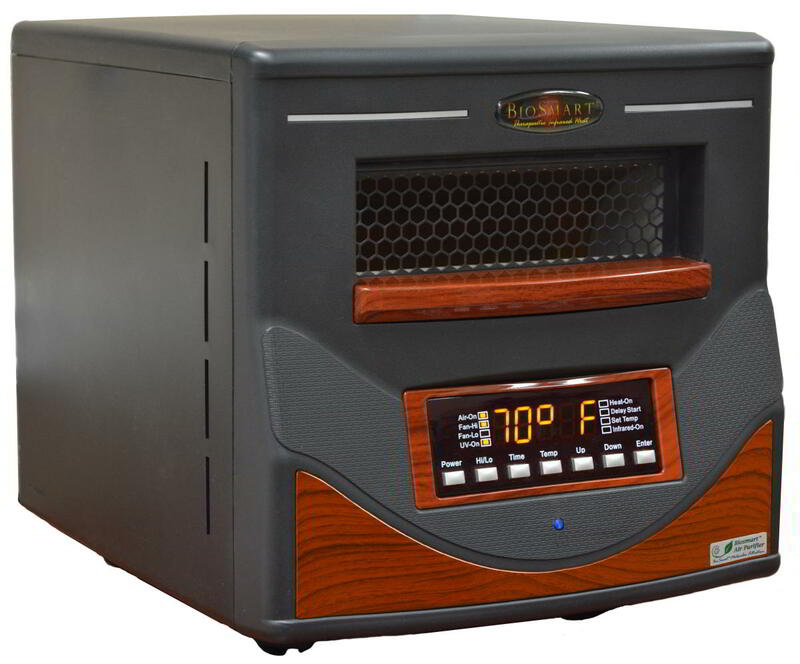 With over 25 mechanical updates, our Platinum Edition heater/air purifier is quieter, smarter, and more efficient than previous Breathe Easy editions and sets a new standard of quality and performance in the portable infrared heating industry. This one-of-a-kind, dual function, year-round home comfort appliance doesn’t have to be stored away during the summer months. Just turn the heater off and keep the air purifier on! The Breathe Easy Platinum Edition is our top-of-the-line model! 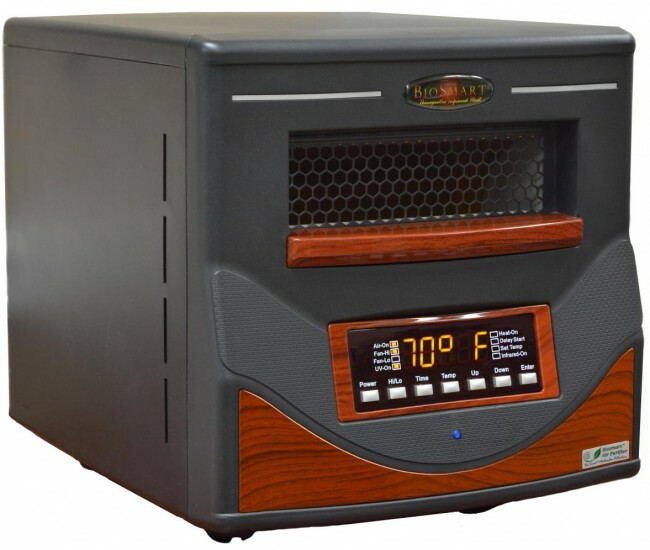 The proprietary heating chamber features a 300% increase in the copper surface area, insulating ceramic liners, ultra quiet powerful fan, and larger, more efficient 120 volt quartz far infrared elements enhanced to a 30,000 hour lifespan. This combination produces efficient infrared energy that can heat up to a 1,000 sq. 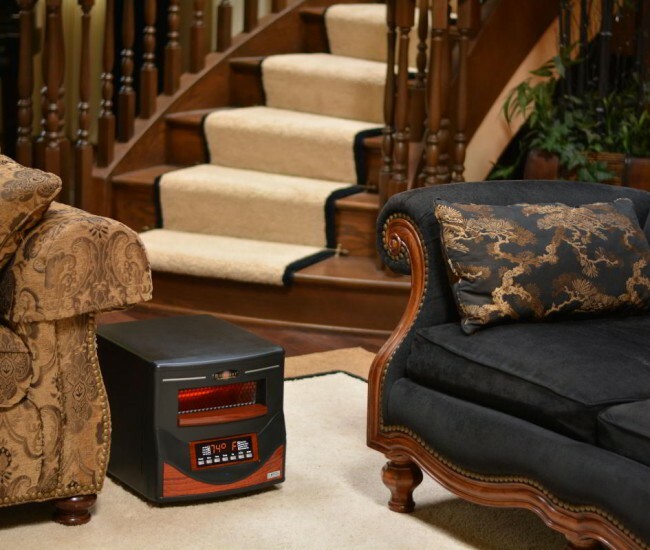 ft. and provides more heat than any other portable infrared heater on the market. Dual power settings and fan speeds provide greater versatility and noise reduction. The BioSmart® Breathe Easy Edition is now even more compact for portability. The thermostat is accurate to 1 degree and can be calibrated to match the house thermostat. 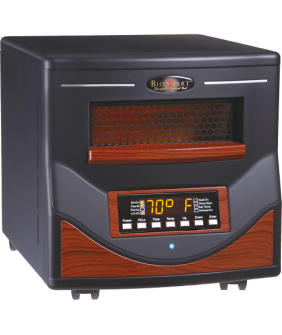 The heater thermostat can be set anywhere from 37 – 86 °F to cover a wide variety of applications and to ensure your own personal comfort zone. 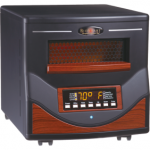 Electronic features include a delay start timer, an automatic re-start feature in case of a power outage, a thermostat programmable in 1 degree increments, a LED temperature display, and a full function remote control. 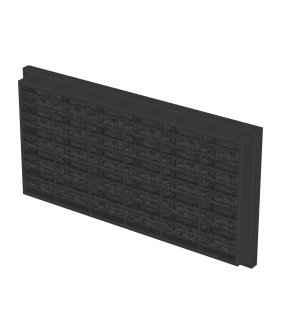 BioSmart® 5-Stage Air Purification System – Now Independently Operable! 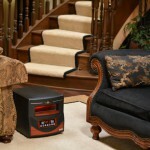 Simply plug in your BioSmart® portable far infrared heater into a 115 Volt grounded outlet and start saving! BIOSMART TECHNOLOGIES (BT) warrants this product, to the original purchaser or gift recipient, to be free from defects in workmanship and materials under normal use and service, for a period of one year from the date of purchase. BT further warrants the infrared heating elements and fan to the original purchaser or gift recipient for a period of three years from the date of purchase. Three-Year Limited Warranty Details: BT shall warrant the infrared elements and fan in the heater to be free from defects in workmanship and materials under normal use and service, and shall supply at no cost, excluding shipping, to the original purchaser replacement elements and fan as required to maintain product in good working order. Shipping: BT or its Dealer shall bear the cost of return shipping and repair, or replacement if, during the first 90 days, there is a defect in workmanship or materials. Thereafter, customer shall bear the cost of return shipping and BT shall repair or replace any defective part including all labor for a period of one full year from the date of purchase. ALL WARRANTIES IMPLIED BY LAW, INCLUDING THE IMPLIED WARRANTIES OF MERCHANTABILITY AND FITNESS FOR A PARTICULAR PURPOSE, ARE EXPRESSLY LIMITED TO THE DURATION OF THE WARRANTY SET FORTH ABOVE. Some jurisdictions do not allow limitations on the length of the implied warranty, so the above limitation may not apply to you. IN NO EVENT SHALL BT BE LIABLE FOR ANY INCIDENTAL OR CONSEQUENTIAL DAMAGES, LOSS OF PROFIT, OR MEDICAL EXPENSES CAUSED BY ANY DEFECT, FAILURE, MISUSE, OR MALFUNCTION OF THE PRODUCT. Note: Some jurisdictions do not allow the exclusion of limitation of incidental or consequential damages, so the above limitation or exclusion may not apply to you. The Company will not be responsible for the damages or losses, direct or indirect, caused by misuse, abuse, accident, negligence, conditions of transportation or storage, or failure to follow instructions. The Company will not be responsible for any statements that are made or published, written or oral, that are inconsistent with this written warranty, or which are misleading or inconsistent with the facts as published in the literature or specifications by the Company. This warranty is invalid if the factory-applied serial number has been altered or removed from the product. Press the DOWN & ENTER buttons on the Control Panel simultaneously and hold for about 3 seconds. The display will update automatically. Be sure to adjust the temperature accordingly. Please see your product Owner’s Manual for instructions. If you’ve misplaced your manual, you can download a copy of your heater’s Owner’s Manual on the heater product pages of this website. 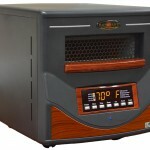 Simply find your heater model, click on View Details, and find the download link under the product description. If you need further assistance with general troubleshooting issues or have additional questions, please give us a call toll-free at 1-800-595-9605, or send us a message. 35-40% Relative humidity is ideal for maximum heating efficiency. Checking the filter once a week and cleaning the filter at least once a month will allow maximum airflow through the heater. Concrete is a heat sink and naturally absorbs any heat in the room. 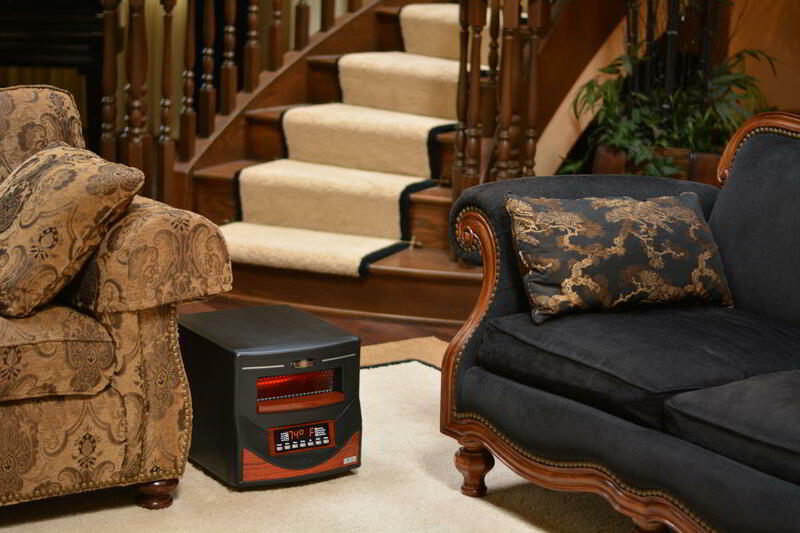 It’s best not to have the heater right on the concrete but to place & secure it a few feet above the concrete floor.